La página de Investigación relacionada incluye acceso a investigación cuantitativa y cualitativa que apoya la evidencia sobre el uso del Método de Enseñanza por Proyectos con niños pequeños. Ainley, M., Hidi, S., & Berndorff, D. (2002). Interest, learning, and the psychological processes that mediate their relationship. Journal of Educational Psychology, 94(3), 545-561. Baker, S. K., Simmons, D. C., & Kameenui, E. J. (1995). Vocabulary acquisition: Synthesis of the research. In NCITE Research Synthesis: Reading and Diverse Learners. Beneke, S. (1998). Rearview mirror: Reflections on a preschool car project. Champaign, IL: ERIC Clearinghouse on Elementary and Early Childhood Education. Beneke, S. (2000). Implementing the project approach in part-time early childhood education programs. Early Childhood Research and Practice, 2(1). Beneke, S. (2002). Practical strategies. In J. H. Helm & S. Beneke (Eds. ), The power of projects: Meeting contemporary challenges in early childhood classrooms—strategies and solutions (pp. 80-86). New York: Teachers College Press. Beneke, S. (2004). Rearview mirror: Reflections on a preschool car project [ video ] . Champaign: University of Illinois, Early Childhood and Parenting Collaborative. Beneke, S., Ostrosky, M. M., & Katz, L. G. (2005). Let’s give ‘em something to talk about: The language arts and science connection. In E. Horn & H. Jones (Eds. ), Young Exceptional Journal monograph series: No. 7. Supporting early literacy development in young children (pp. 87-100). Longmont, CO: Sopris West. Beneke, S. & Ostrosky, M. M. (2009). Teachers’ Views of the Efficacy of Incorporating the Project Approach into Classroom Practice with Diverse Learners , 11(1). Beneke, S. J., & Ostrosky, M. M. (2013). The potential of the project approach to support diverse young learners. Young Children, 68(2), 22-29. Beyer, L. E. (1997). William Heard Kilpatrick. Prospects: The Quarterly Review of Comparative Education, 27(3), 470-485. Bowman, Barbara T.; Donovan, M. Suzanne; & Burns, M. Susan (Eds.). (2001). Eager to learn: Educating our preschoolers. Washington, DC: National Academy Press. Bransford, J. D., Brown, A. L., & Cocking, R. R. (Eds.). (1999). How people learn: Brain, mind, experience, and school. Washington, DC: National Academy Press. Bruner, J. S. (1980). Under five in Britain: Vol. 1. Oxford preschool research project. Ypsilanti, MI: High/Scope Press. DeVries, R., Reese-Learned, H., & Morgan, P. (1991). Sociomoral development in direct-instruction, eclectic, and constructivist kindergartens: A study of children’s enacted interpersonal understanding. Early Childhood Research Quarterly, 6(4), 473-517. Donegan, M., Hong, S. B., Trepanier-Street, M., & Finkelstein, C. (2005). Exploring how project work enhances student teachers’ understanding of children with special needs. Journal of Early Childhood Teacher Education, 26(1), 37-46. Dresden, J., & Lee, K. (2007). The effects of project work in a first-grade classroom: A little goes a long way. Early Childhood Research and Practice, 9(1). Dyson, A. H. (1990). Symbol makers, symbol weavers: How children link play, pictures, and print. Young Children, 45(2), 50-57. Edmiaston, R. K. (1998). Projects in inclusive early childhood classrooms. In J. H. Helm (Ed. 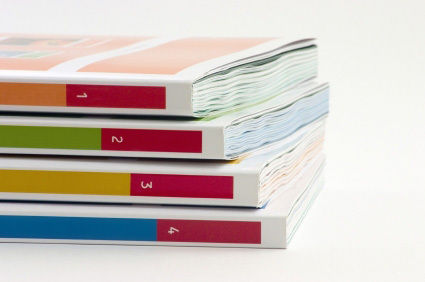 ), The project approach catalog 2 (pp. 19-22). Champaign, IL: ERIC Clearinghouse on Elementary and Early Childhood Education. Espinosa, L. M. (2002). High quality preschool: Why we need it and what it looks like. (Preschool Policy Matters No. 1). New Brunswick, NJ: National Institute for Early Education Research. Fawcett, L. M., & Garton, A. F. (2005). The effect of peer collaboration on children’s problem-solving ability. British Journal of Educational Psychology, 75(2), 157-169. Fillmore, L. W., & Snow, C. E. (2000). What teachers need to know about language. Washington, DC: Center for Applied Linguistics. Forman, G. (1996). A child constructs an understanding of a water wheel in five media. Childhood Education, 72(5), 269-273. Gauvain, M., & Rogoff, B. (1989). Collaborative problem solving and children’s planning skills. Developmental Psychology, 25(1), 139-151. Hart, B., & Risley, T. R. (1995). Meaningful differences in the everyday experience of young American children. Baltimore, MD: Brookes. Helm, J. H. (Ed.). (2000). The project approach catalog 4: Literacy and project work. Champaign: University of Illinois, Early Childhood and Parenting Collaborative. Helm, J. H., & Beneke, S. (Eds.). (2002). The power of projects: Meeting contemporary challenges in early childhood classrooms—strategies and solutions. New York: Teachers College Press. Helm, J. H., Beneke, S., & Steinheimer, K. (1997). Teacher materials for documenting young children’s work: Using Windows on Learning. New York: Teachers College Press. Helm, J. H., Beneke, S., & Steinheimer, K. (2007). Windows on learning: Documenting young children’s work (2 nd ed.). New York: Teachers College Press. Helm, J. H., & Katz, L. G. (2001). Young investigators: The project approach in the early years. New York: Teachers College Press. Hertzog, N. B. (2007). Transporting Pedagogy: Implementing the Project Approach in two first-grade Classrooms. Journal of Advanced Academics, 18(4), 530-564. Heyman, G. D., Dweck, C. S., & Cain, K. M. (1992). Young children’s vulnerability to self-blame and helplessness: Relationship to beliefs about goodness. Child Development, 63(2), 401-415. High/Scope Educational Research Foundation. (2003). The High/Scope approach: Preschool. Illinois Early Learning Council. (2006, spring). Preschool for all: High-quality early education for all of Illinois’ children. Illinois State Board of Education, Division of Early Childhood. (2002). Illinois early learning standards. Springfield: Illinois State Board of Education. 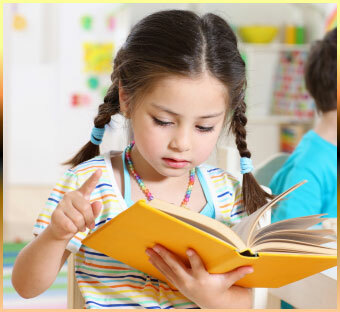 International Reading Association & National Association for the Education of Young Children. (1998). Learning to read and write: Developmentally appropriate practices for young children. A joint position statement of the International Reading Association and the National Association for the Education of Young Children. Young Children, 53(4), 30-46. Katz, L. G. (1993). Dispositions: Definitions and implications for early childhood practice. Champaign, IL: ERIC Clearinghouse on Elementary and Early Childhood Education. Katz, L. G. (1994). The project approach. ERIC Digest. Champaign, IL: ERIC Clearinghouse on Elementary and Early Childhood Education. Katz, L. G. (1999). Curriculum disputes in early childhood education. ERIC Digest. Champaign, IL: ERIC Clearinghouse on Elementary and Early Childhood Education. Katz, L. G., & Chard, S. C. (1989). Engaging children’s minds: The project approach. Greenwich, CT: Ablex. Katz, L. G., & Chard, S. C. (1998). Issues in selecting topics for projects. ERIC Digest. Champaign, IL: ERIC Clearinghouse on Elementary and Early Childhood Education. Katz, L. G., & Chard, S. C. (2000). Engaging children’s minds: The project approach (2 nd ed.). Stamford, CT: Ablex. Kilpatrick, W. H. (1918). The project method. Teacher’s College Record, 19, 319-335. Knoll, M. (1997). The project method: Its vocational education origin and international development. Journal of Industrial Teacher Education, 34(3), 59-80. Levin, I., Bus, A. G. (2003). How is emergent writing based on drawing? Analyses of children’s products and their sorting by children and mothers. Developmental Psychology, 39(5), 891-905. Lowenfeld, V., & Brittain, W. L. (1987). Creative and mental growth (8 th ed.). New York: Macmillan. Marcon, R. A. (2002). Moving up the grades: Relationship between preschool model and later school success. Early Childhood Research and Practice, 4(1). Martinello, M. L. (1998). Learning to question for inquiry. Educational Forum, 62(2), 164-171. Masonheimer, P. E., Drum, P. A., & Ehri, L. C. (1984). 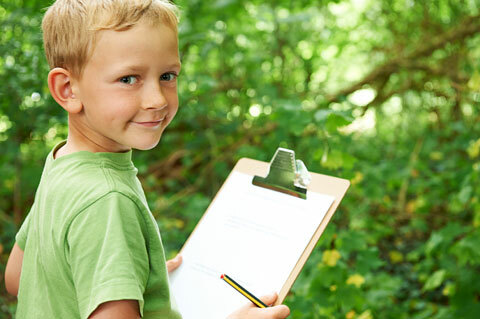 Does environmental print identification lead children into word reading? Journal of Reading Behavior, 16(4), 257-272. Meisels, S. J. (1992). Doing harm by doing good: Iatrogenic effects of early childhood enrollment and promotion policies. Early Childhood Research Quarterly, 7(2), 155-174. Miller, L. B., & Bizzell, R. P. (1983). The Louisville experiment: A comparison of four programs. In Consortium for Longitudinal Studies (Ed. ), As the twig is bent…lasting effects of preschool programs (pp. 171-199). Hillsdale, NJ: Erlbaum. Morrow, L. M. (1990). Preparing the classroom environment to promote literacy during play. Early Childhood Research Quarterly, 5(4), 537-554. Morrow, L. M., & Schickedanz, J. A. (2005). Relationship between sociodramatic play and literacy development. In D. K. Dickinson & S. B. Neuman (Eds. ), Handbook of early literacy research (Vol. 2, pp. 269-280). New York: Guilford Press. National Association for the Education of Young Children. (2003). Early childhood curriculum, assessment, and program evaluation: Building an effective, accountable system in programs for children birth through age 8 (Position statement with expanded resources). National Reading Panel. (2000). Report of the National Reading Panel: Teaching children to read: An evidence-based assessment of the scientific research literature on reading and its implications for reading instruction. (NIH Pub. No. 00-4769). Washington, DC: National Institute of Child Health and Human Development. Neuman, S. B. (2006). The knowledge gap: Implications for early education. In D. K. Dickinson & S. B. Neuman (Eds. ), Handbook of early literacy research (Vol. 2, pp. 29-40). New York: Guilford Press. Neuman, S. B., & Roskos, K. (1990). The influence of literacy-enriched play settings on preschoolers’ engagement with written language. National Reading Conference Yearbook, 39, 179-187. Neuman, S. B., & Roskos, K. (1992). Literacy objects as cultural tools: Effects on children’s literacy behaviors in play. Reading Research Quarterly, 27(3), 202-225. Neuman, S. B., & Roskos, K. (1993). Access to print for children of poverty: Differential effects of adult mediation and literacy-enriched play settings on environmental and functional taks. American Educational Research Journal, 30(1), 95-122. No Child Left Behind Act of 2001, 20 U.S.C. 6301 et seq. (2002). Pellegrini, A. D., & Galda, L. (1997). The role of close relationships in early literacy learning: Towards a working model. (Reading Research Report No. 80). Athens, GA: National Reading Research Center. Pyterek, M. M. (2006). How can a teacher begin to help her kindergarten students gain “authentic” cultural understandings about Native North Americans through children’s literature? Schuler, D. (1998). Teaching project skills with a mini-project. In J. H. Helm (Ed. ), The project approach catalog 2 (pp. 15-18). Champaign, IL: ERIC Clearinghouse on Elementary and Early Childhood Education. Schweinhart, L. J., & Weikart, D. P. (1997). The High Scope/Perry Preschool curriculum comparison study through age 23. Early Childhood Research Quarterly, 12(2), 117-143. Scranton, P. (2003). The bird project. In J. H. Helm & S. Beneke (Eds. ), The power of projects: Meeting contemporary challenges in early childhood classrooms—strategies and solutions (pp. 57-63). New York: Teachers College Press. Siraj-Blatchford, I., & Sylva, K. (2004). Researching pedagogy in English pre-schools. British Educational Research Journal 30(5), 713-730. Smiley, P. A., & Dweck, C. S. (1994). Individual differences in achievement goals among young children. Child Development, 65(6), 1723-1743. Smith, L. A. H. (1997). “Open education” revisited: Promise and problems in American educational reform (1967-1976). Teachers College Record, 99(2), 371-415. Souto-Manning, M., & Lee, K. (2005). “In the beginning I thought it was all play:” Parents’ perceptions of the project approach in a second grade classroom. School Community Journal, 15(2), 7-20. Sylva, K., Melhuish, E., Sammons, P., Siraj-Blatchford, I., Taggart, B., & Elliot, K. (2003). The effective provision of pre-school education (EPPE) project: Findings from the pre-school period: Summary of findings. London: University of London, Institute of Education. Tabors, P. O. (1997). One child, two languages: A guide for preschool educators of children learning English as a second language. Baltimore: Brookes. Trister Dodge, D., Colker, L. J., & Heroman, C. (2003). The creative curriculum for preschool (4 th ed.). Washington, DC: Teaching Strategies. Weizman, Z. O., & Snow, C. E. (2001). Lexical input as related to children’s vocabulary acquisition: Effects of sophisticated exposure and support for meaning. Developmental Psychology, 37(2), 265-279. Youngquist, J.,& Pataray-Ching, J. (2004). Revisiting “play”: Analyzing and articulating acts of inquiry. Early Childhood Education Journal, 31(3), 171-178. Ziegert, D. I., Kistner, J. A., Castro, R., & Robertson, B. (2001). Longitudinal study of young children’s responses to challenging achievement situations. Child Development, 72(2), 609-624.